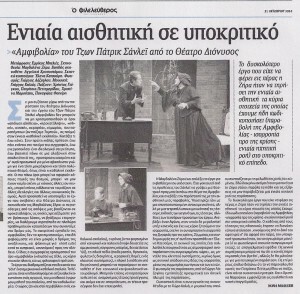 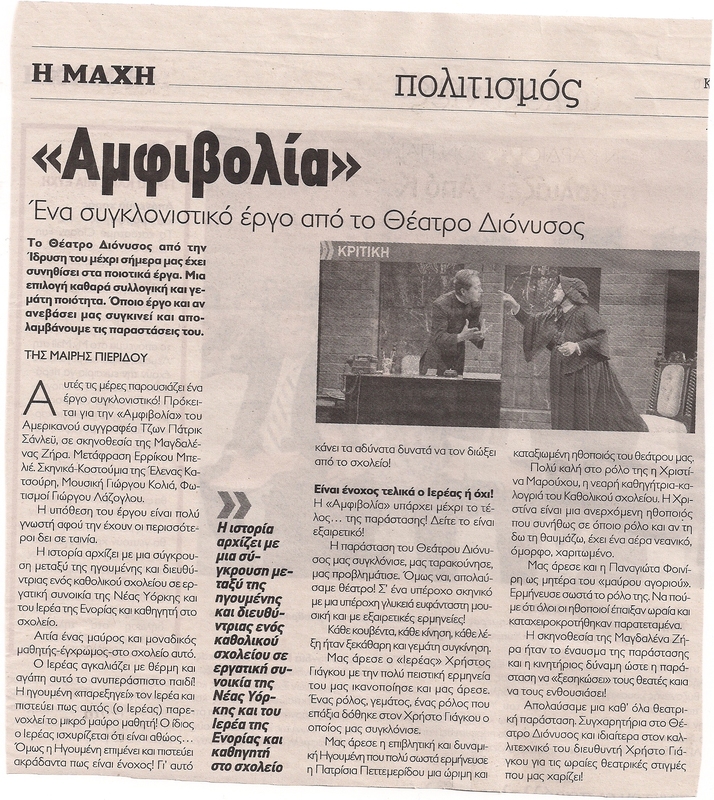 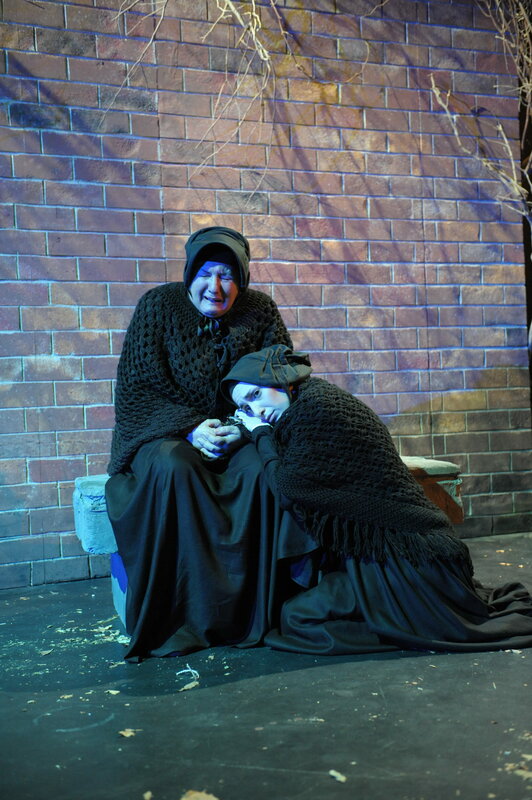 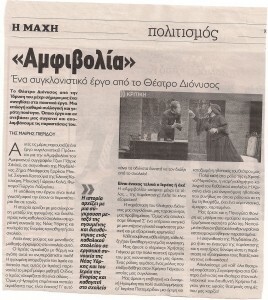 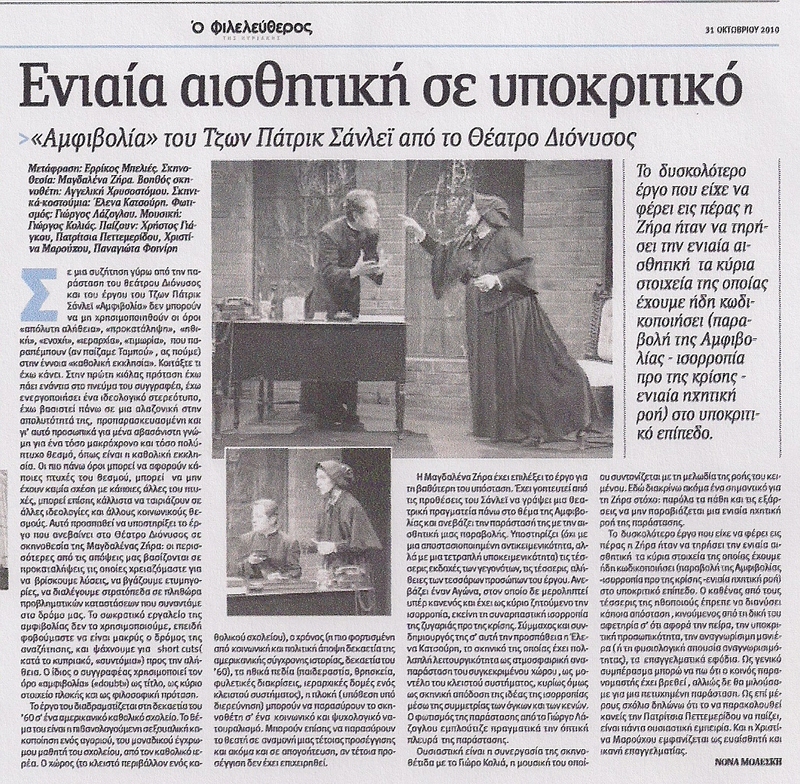 Theater Dionysos produced in 2010 the play “Doubt” by John Patrick Shanley. 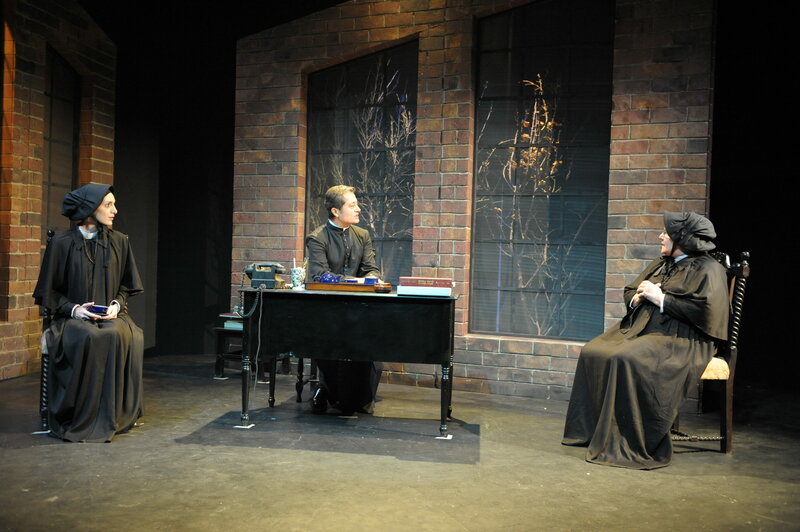 Winner of the 2005 Pulitzer and Tony Award, this powerful drama portrays Sister Aloysius, a Bronx principal, that takes matters into her own hands when she suspects the young Father Flynn of improper relations with one of the male students. The play was also made into a movie, starring Meryl Strip, Philip Seymour Hoffman, Amy Adams and Viola Davis. 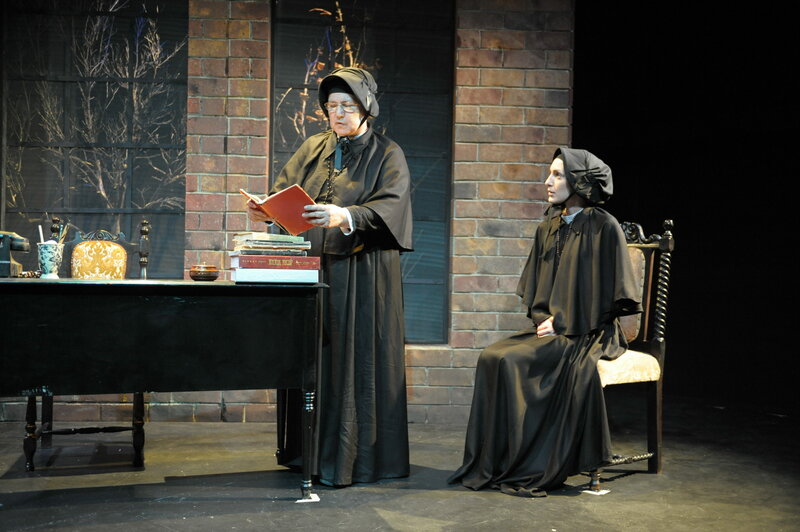 Magdalena Zera directed the play, with Patricia Pettemeridou in the main role of Sister Aloysius. 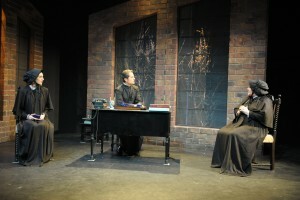 I was cast as Sister James, along with Christos Yiangou and Penny Finiri.